Happy Friday lovies! I'm writing this post and simultaneously packing for my weekend in NYC. I'll be posting a ton on my Snapchat so make sure to follow along (username: kellykalink)! I'm in between books right now so I'm trying to decide which one to bring with me for the bus ride in case Kate falls asleep or we can't sit together for some reason. That's what sort of sparked my idea for this post! I LOVE hearing about what others are reading and getting book ideas from bloggers so I thought it would be fun to share my top 5 favorite books of all time. This was SO hard to narrow down because I've always been a pretty avid reader. Just to give you some background, the genres I typically go for are Historical Fiction and Mystery/Crime Thrillers. It's pretty rare that I pick up anything outside of those genres although I do have one on my list that isn't in either. Let's just jump in! 1.) 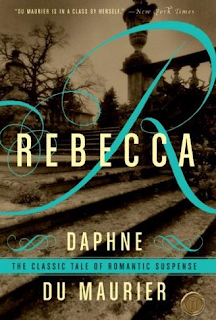 Rebecca-Ok, so this actually wasn't super hard to pick because I just adored this book. I have to say Rebecca is probably my absolute #1 favorite. It's such a classic and the reason I love it so much is because it combines my two favorite genres. It's historical but also a has super gripping mystery and a major twist at the end. I'm sure a lot of you have already read it, but if not, I highly recommend it. Alfred Hitchcock also made a movie version of it and the author Daphne Du Maurier is the one who wrote "The Birds"--the short story Hitchcock's movie was based on. I could not put this book down and still recommend it to anyone who hasn't heard of it! 2.) 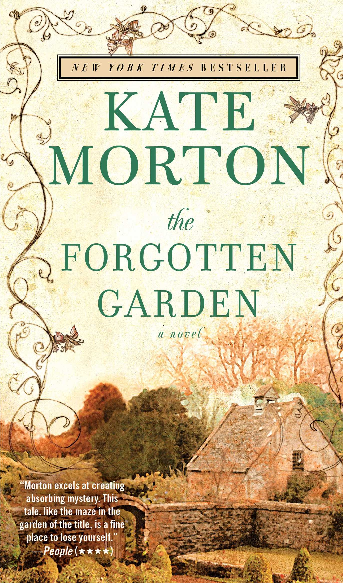 The Forgotten Garden-Basically, anything by Kate Morton is included in this slot because she is by far my favorite author. Whenever she comes out with a new book, I immediately buy it! As with Rebecca, Kate Morton always combines historical fiction and mystery in the best way! I just got The Lake House which is her most recent book and that's probably the one I'll bring for the ride up to NYC. I have read all the others and The Forgotten Garden was my favorite! The writing is incredible and it just transported me when I was reading it. If you're interested in reading her other books, The Secret Keeper was my second favorite and the House at Riverton was really good too. The only one I wasn't super in love with was The Distant Hours. I'll keep you guys posted on my thoughts on The Lake House! 3.) 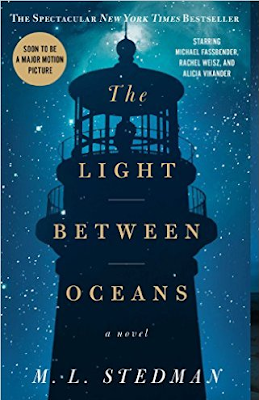 The Light Between Oceans-I just finished this book a couple weeks ago but it was an instant favorite. Again, I'm sure you guys have already read it but if not, I HIGHLY recommend it. The writing is incredible and the story is just heartwrenching! It's such a beautiful book and I'm hoping to see the movie in the next few weekends. I can't wait for this author to come out with another book because I will ABSOLUTELY buy it. 4.) Where'd You Go Bernadette-This is the book I was referring to when I said that it sort of fell out of the usual genres I go for. I would classify this as a comedy because I laughed out loud so much while reading this book! Bee, the main character, is just so adorable and funny. The sense of humor is sort of snarky in the best way. If you want a good, light-hearted read, this is sure to make you smile! 5.) 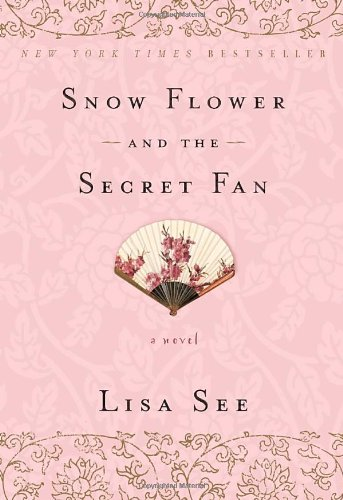 Snow Flower and the Secret Fan-On a COMPLETELY different note, this book was so touching and heartbreaking. I have always been very interested in Chinese culture and history so I love that this book tied in so much history. 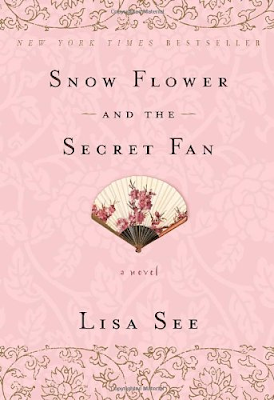 It really showcases the struggles of women in 19th century China but it's mostly about enduring friendship. I think I surprised myself with how much I loved this book! If you guys liked Memoirs of a Geisha, this has similar vibes and actually the writing style is very similar despite different authors. Hope y'all liked this different type of post and enjoy your weekends!! I love these kind of posts! I need to get into reading more! I love all the picks! 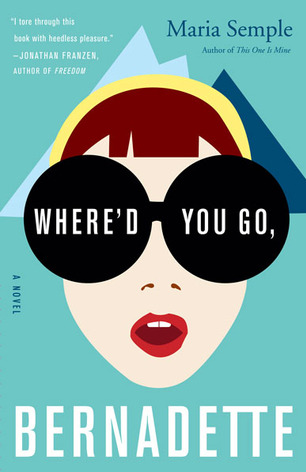 I really want to read Where'd you go Bernadette I head that is a super good read! Wishing you a wonderful weekend! Great idea for a post. i love to read too, hence the reason why love blogs. Haven't had much time lately to read books so blogs will have to compensate lol. Have fun on your trip to NYC. A good book is a must for travel time. I've read where'd you go Bernadette but none of the others. Thanks for the list! I think we like the same kinds of books! Love your choices! 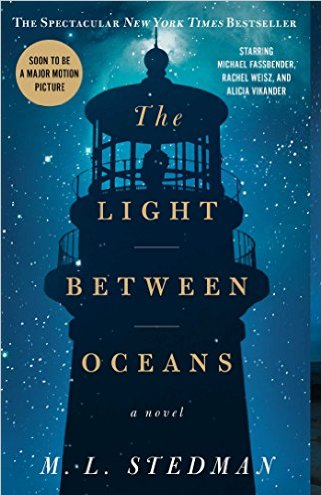 Two of these, Bernadette and the light between oceans have been on my list for a long time and you have totally convinced me now that I need to read them both! Have you seen the movie? I heard that the couple who starred in the movie became a real life couple during filming! How romantic. Have an amazing weekend my friend and a very safe and fun trip! Such great picks. Thanks for sharing. 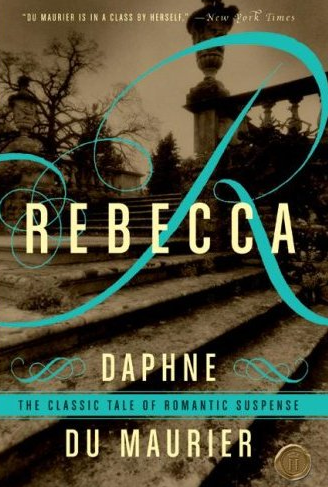 I've actually never heard of these books before, but it looks like I'll have to check out Rebecca, it sounds interesting! I'm always looking for new books to read, so I love posts like these! Thanks so much for sharing, beauty, and I hope you have the best weekend ahead! These all look like really nice books, I haven't read any of these but if I ding one I will try to read it. Thank you for sharing! A couple of these books are in my saved cart on Amazon! I wish I had more time to read but I'm definitely gonna me the effort to! I am always looking for a good book! I will need to try these out! I'm so happy to hear you loved The Light Between Oceans! I just picked it up the other day and can't wait to start it! I loved Where'd You Go, Bernadette- it's been such a long time since I've read for pleasure, but thanks for these recommendations!